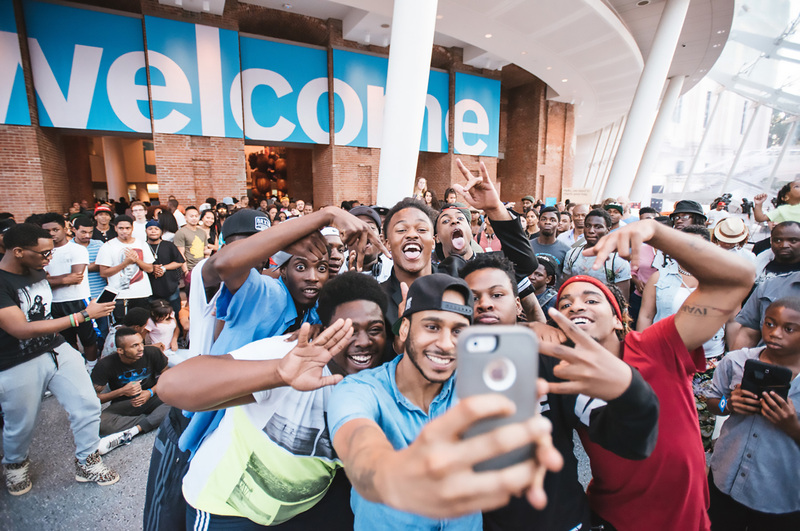 In 2015, Brooklyn Museum, the second largest museum in New York City, received funding from Bloomberg Philanthropies/Bloomberg Connects to improve visitors’ experience in the galleries, lobby and atrium. 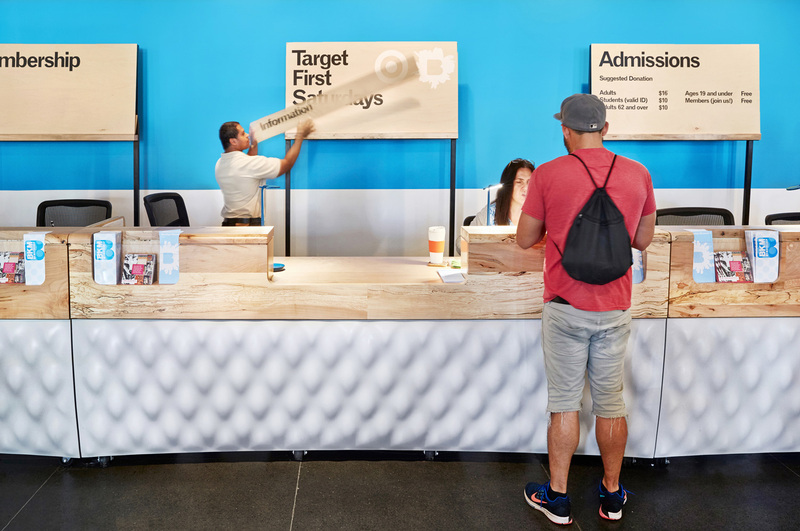 Brooklyn Museum commissioned MTWTF to design a movable, changeable system of signs which, in concert with new mobile seating, desks and kiosks by SITU Studio, could direct and tailor the flow of visitors according to the museum’s multiple needs. MTWTF’s signage system includes: an identity sign on the main entrance’s awning, a system of retractable banners between the pillars of the atrium’s brick arcade, a changeable banner system on the lobby’s back wall, changeable ticketing signs and stanchions, and wayfinding signs which identify the galleries, cafe and shop. 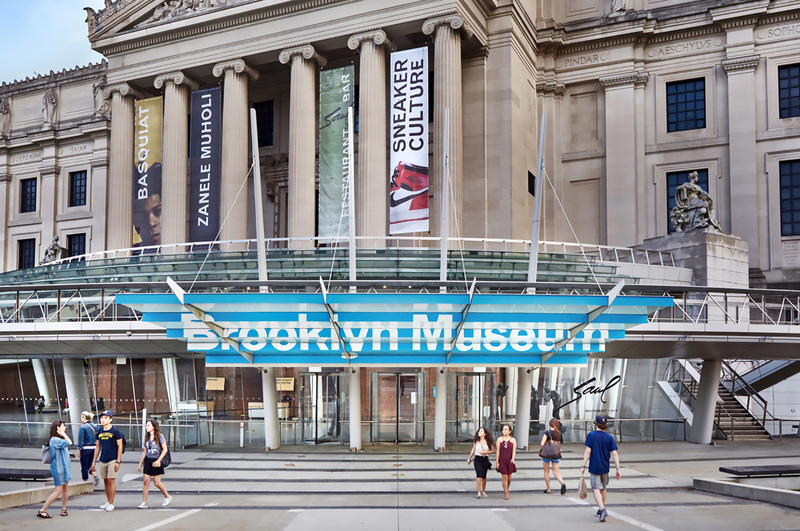 Lightweight and flexible, each sign type can be reconfigured or repositioned by the museum staff to fit the institution’s needs. 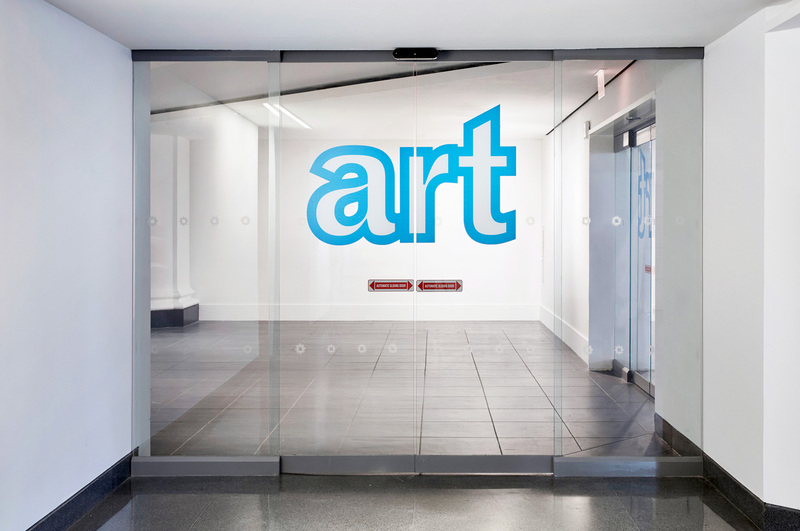 Each sign was also designed to be as optically active as possible with oversized typography to stand out in the visually dense lobby space. 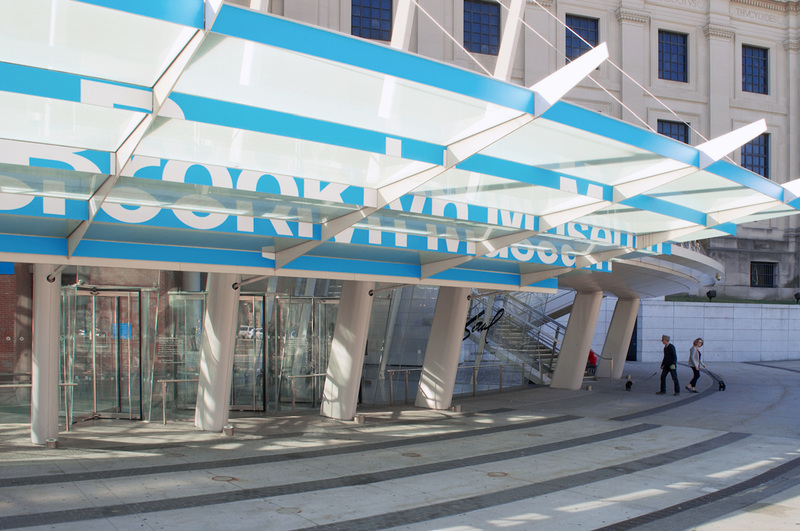 For example, the entryway sign becomes legible as visitors align with the main doors; the billboard-sized interior banners echo the facade’s exterior banners to help define the atrium space, create a “selfie moment”, and intuitively orient visitors to the lobby beyond; and the lobby banners announce current exhibitions while drawing visitors inward towards the ticketing. 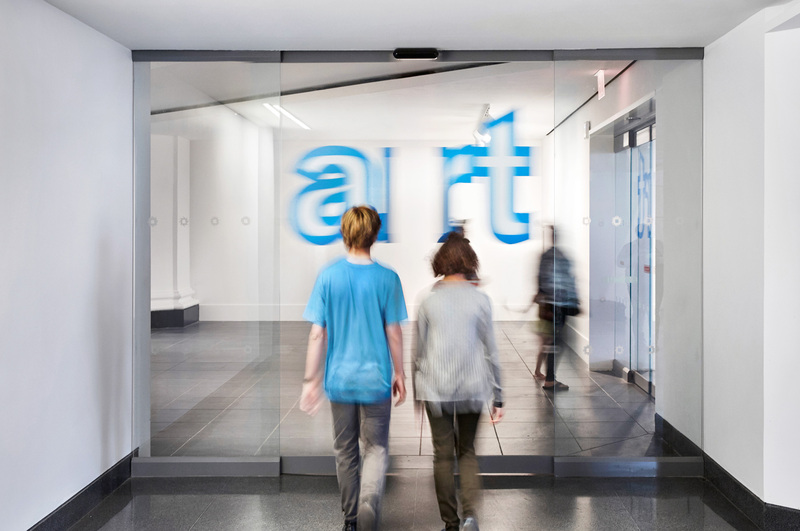 “Art, Eat and Shop" graphics lead patrons to the galleries, cafe and restaurant, and museum shop; appearing on doors and walls, the letterforms are customized with both light and dark outlines so as to be visible whether lit from the front or back. 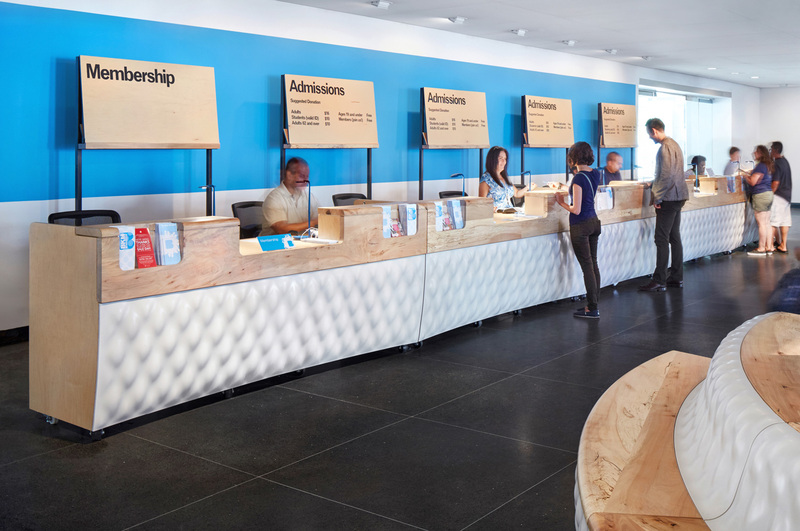 MTWTF’s temporary signage imagines identity and wayfinding not as a definitive clarification of space but as a malleable tool with which the museum staff can explore ways to manage their visitors’ experience.